Although many people associate hair loss with typical age-related, male-pattern baldness, the truth is that hair loss affects men and women alike. A wide range of problems can cause or contribute to hair loss, a potentially devastating problem that can occur at practically any age. 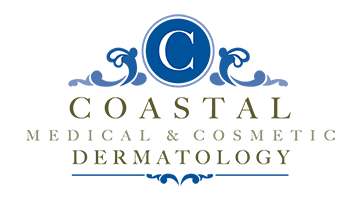 At Coastal Medical & Cosmetic Dermatology in San Diego, La Jolla, and Chula Vista, California, board-certified dermatologist Dr. Darrell Gonzales specializes in the diagnosis and treatment of hair loss. To find out more, call the office or book your appointment online today. The average person normally sheds 50-100 hairs every day. This process doesn’t usually cause a noticeable thinning of the scalp, because new hair is always growing in. Hair loss occurs when this normal cycle of growth and shedding is somehow disrupted. Genetic predisposition, or family history, is by far the most common cause of hair loss among both genders. Male-pattern baldness, which is typified by a bald spot or a receding hairline and is highly influenced by heredity, sometimes begins in puberty. Female-pattern baldness typically takes the form of thinning hair, but may also include a receding hairline. Women can also experience hair loss as a result of factors that affect certain aspects of their health, including childbirth, extreme stress, and poor nutrition. Unless you already know the underlying cause of your hair loss, Dr. Gonzales starts with a comprehensive evaluation, which may include testing for thyroid problems and hormonal imbalances. If you’re affected by some kind of imbalance or dysfunction, addressing the hormone or thyroid issue that’s causing your hair loss is often enough to result in regrowth. When a hormonal imbalance isn’t part of the problem, however, you may be able to slow hair loss and stimulate regrowth with medications such as topical minoxidil, oral finasteride, or cortisone medications. For hair loss that can’t be addressed medically, hair transplants may be an option. What conditions do hair loss medications address? This medication stops hair from thinning and stimulates new growth. It’s used to address both male and female pattern baldness, alopecia, and rapid hair loss resulting from medical treatment. It comes in foam or liquid form and is applied directly to your scalp twice a day. It may take several months of treatment with this medicine before your hair is noticeably thicker. This prescription medication specifically addresses male pattern baldness by slowing hair loss and stimulating regrowth. The medication, which works by inhibiting the production of a hormone that destroys hair follicles, is taken once daily by mouth. These prescription medications, which are available in both topical and injectable form, treat hair loss caused by alopecia areata and other autoimmune conditions. They stimulate hair regrowth by counteracting the physiological effects of the autoimmune disease.